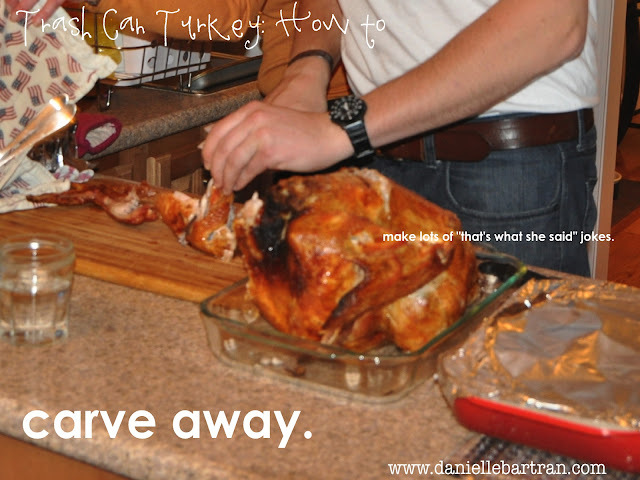 As I mentioned in my previous post, my family came to our house to celebrate Thanksgiving. 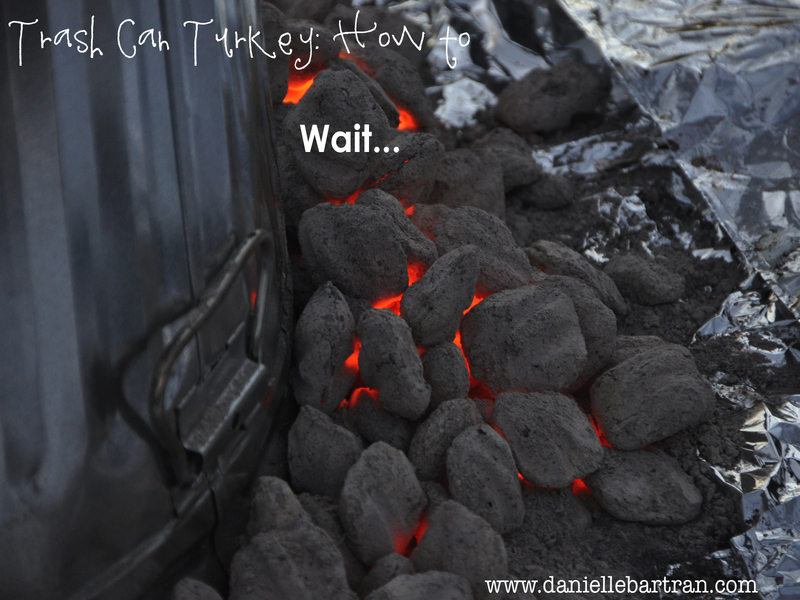 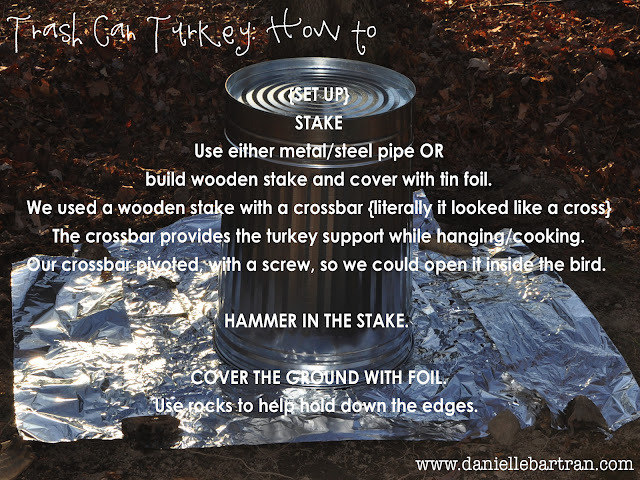 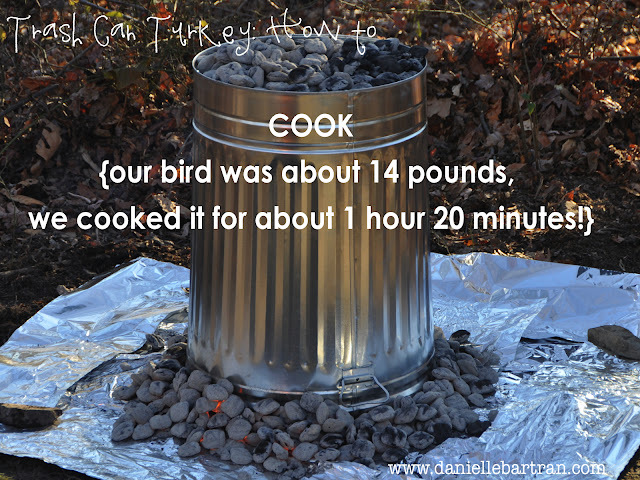 It was your pretty standard Thanksgiving, except for one unique feature: we cooked our turkey in a trash can. 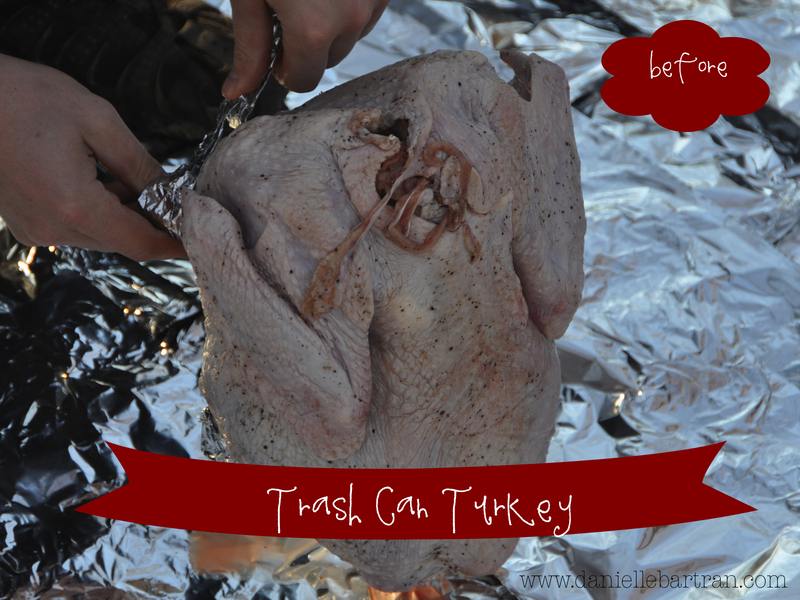 I'd never heard of such a thing, but my brother mentioned it with such rare enthusiasm, that we had to try it. My sister-in-law's uncle had cooked it this way numerous times, with great success. 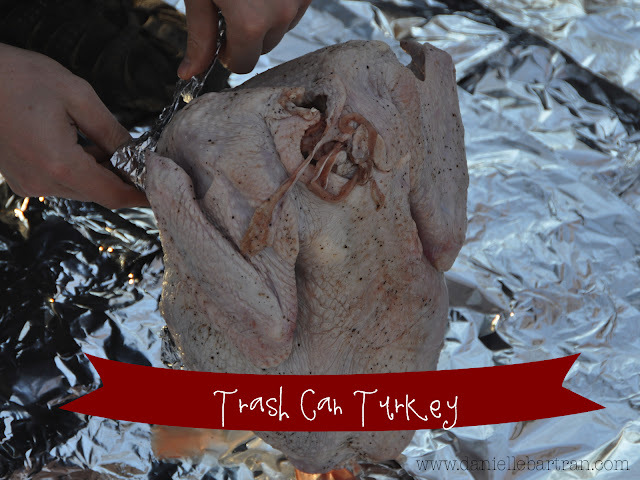 We figured we'd give it a try, although we'd already ordered a turkey breast & ham from Honeybaked Ham. 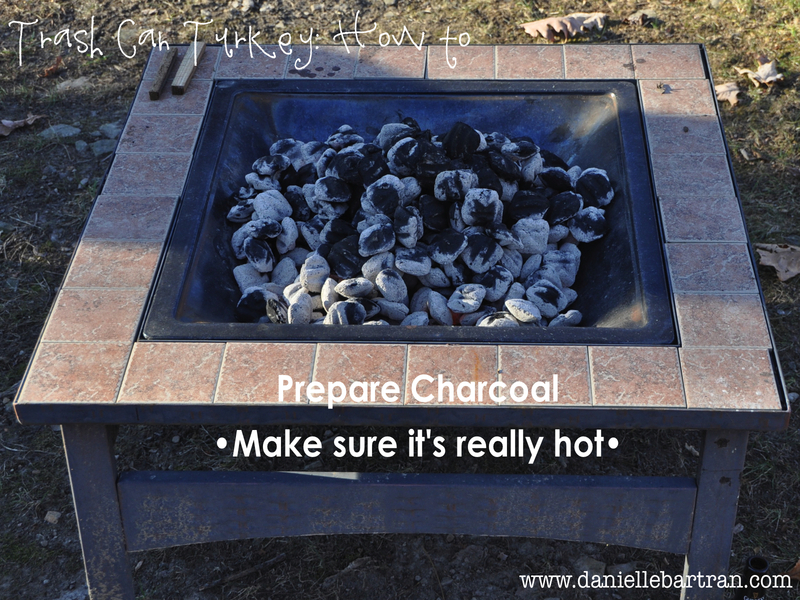 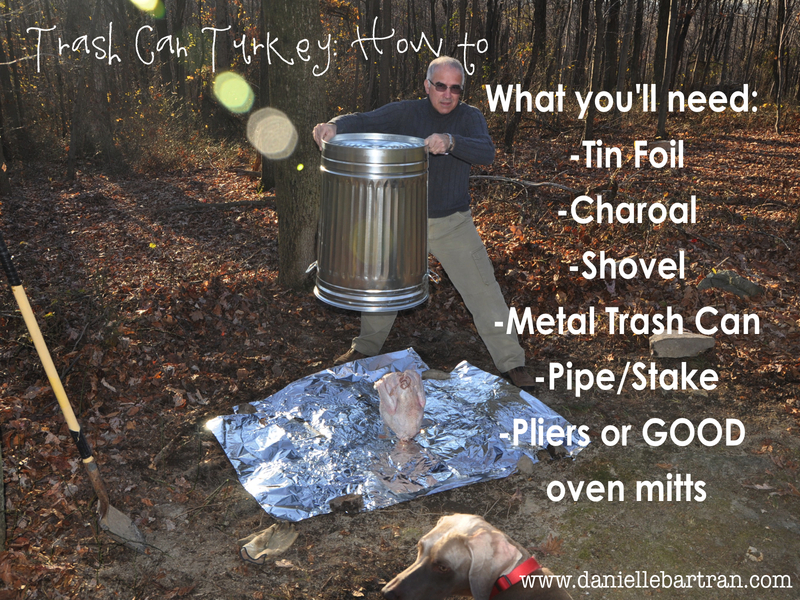 We had all of our bases covered! 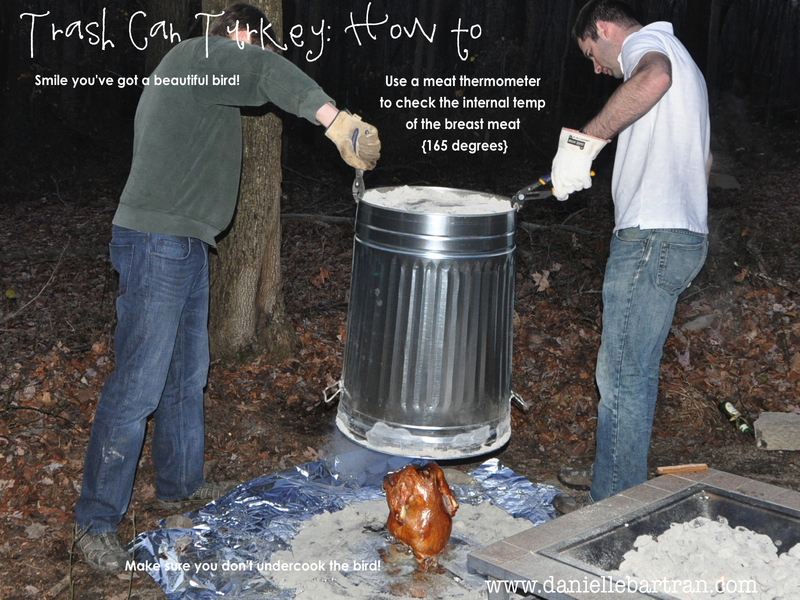 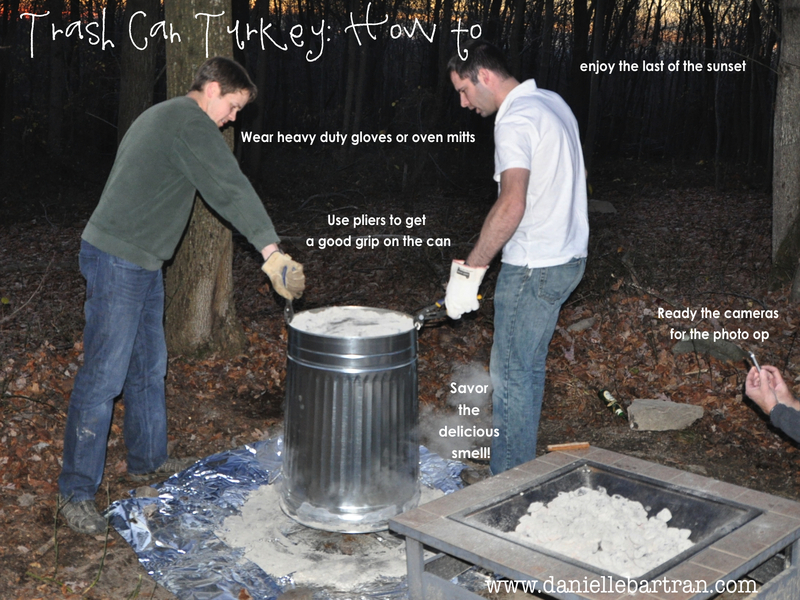 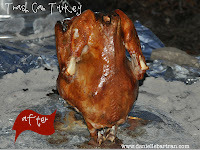 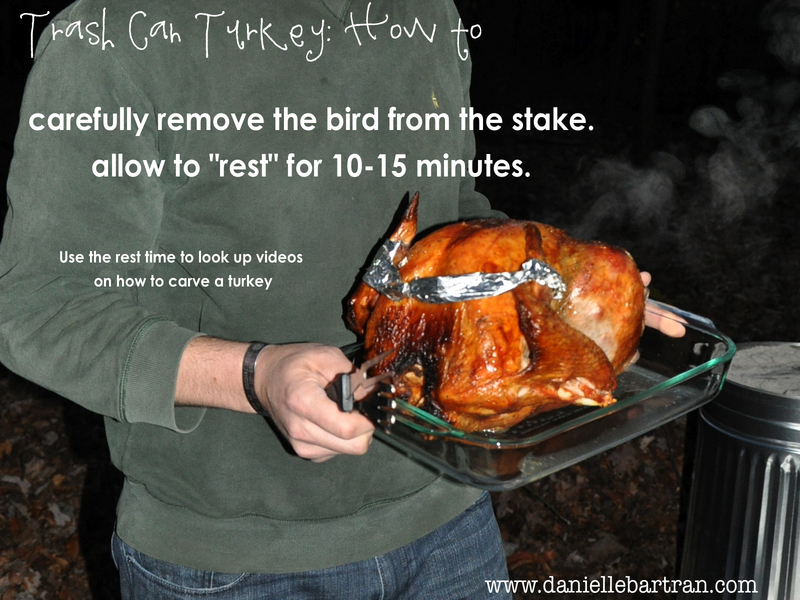 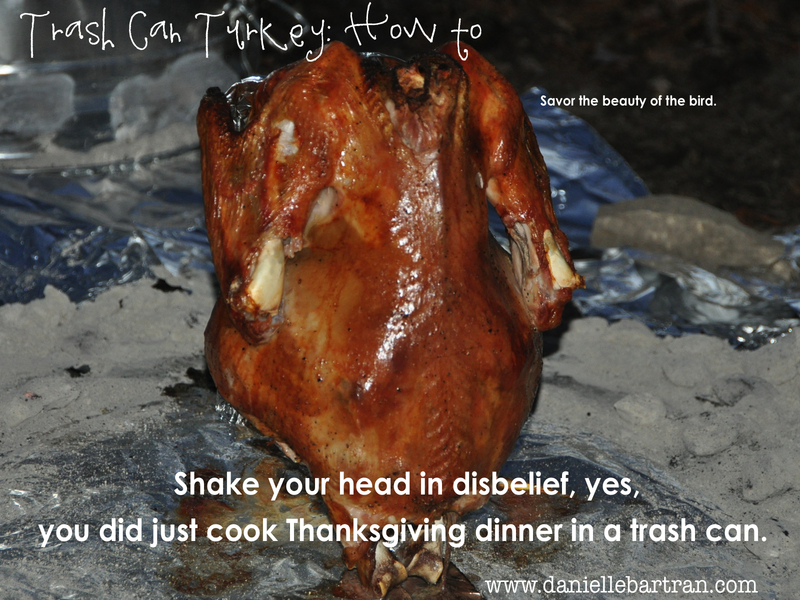 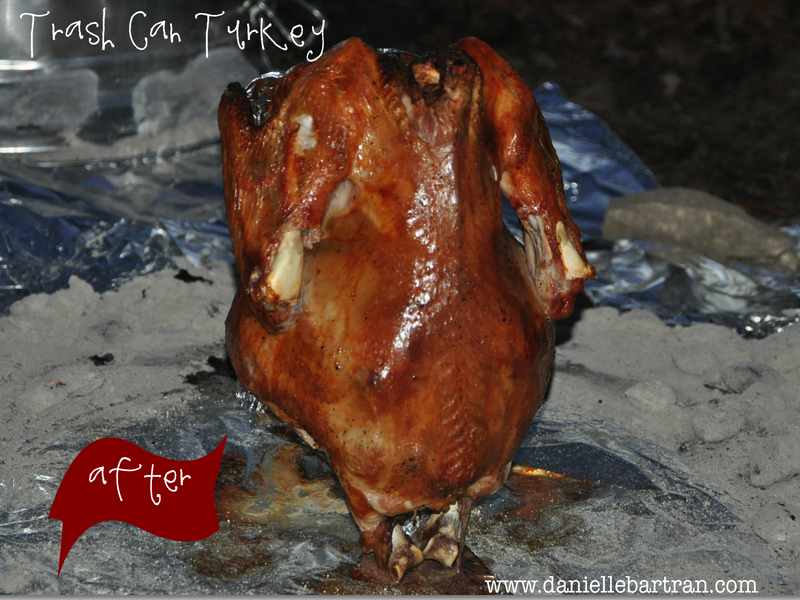 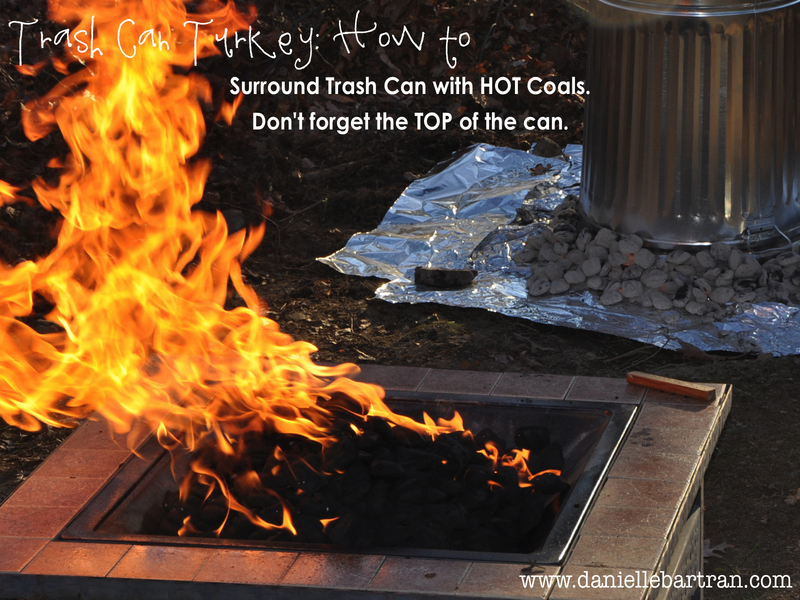 For more information, google trash can turkey, we used: http://thetrashcanturkey.com/ to gather information.